End of life vehicles (ELVs) and light, bulky scraps are processed effectively in the large feed chambers found/designed in the Car Balers/Loggers. The balers also feature two pre-crushing flaps and two powerful baling rams. 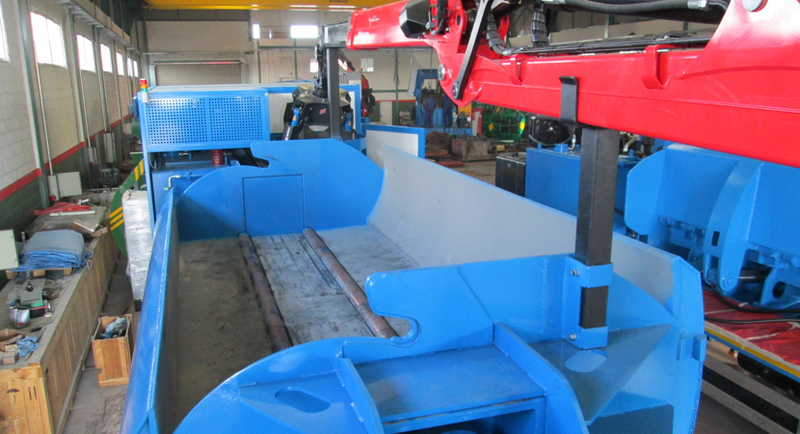 The Imabe Car Baler/ Logger is able to bale and process ELVs without removing their motors. Imabe’s iconic design incorporates replaceable low-wear, steel plates in both the processing chamber and the main pushing rams. The two powerful compaction rams compact and bale scraps at maximum density without applying force on the baler main frame which increases the life span of the baler. The mobile units can be equipped with a hydraulic crane for scrap loading/unloading and an ergonomic operator cabin for baler and crane control.